Joan’s reflection is followed by “Other Words of Wisdom” from Meister Eckart, 13th century mystic, and Michael Casey, OSCO. 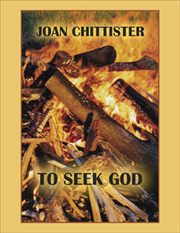 Reflection questions are provided and especially geared for Monasteries of the Heart members and communities. This ebook is a downloadable PDF file.